Is buying a Braden Holtby jersey a waste of money? One of the things that makes me sick to my stomach is going to a DC sports event and watching as dopes strut out in jerseys of players that are no longer on the team. Idiots in Jose Vidro jerseys at Nats parks, Dummies in Antawn Jamison jerseys at Verizon, and Morons in Adam Archuletta jerseys at FedEX Field. Even at Caps games I shutter as I see people wearing sweaters from the days of the Caps blue & white old uniforms with Kolzig on the back. Ug. As a sports fan, you need to be smarter when buying a jersey. And if you make mistakes, and we all do (choosing a girlfriend who bought me a Tyrone Wheatley jersey), too bad. Try again next time. Don't bring that garbage to the game. 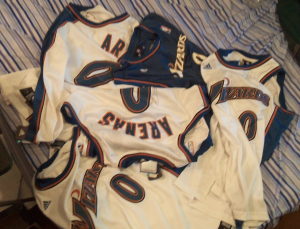 I have 10 Gilbert Arenas jerseys (they were all free) but I will never even consider wearing them except as some bad joke. The best you can do in that situation is pray that the player becomes a legend and the jersey becomes "retro". But that rarely happens, John Riggins & Wes Unseld come to mind, and it takes years for that to happen, and Championships. I could rant about this topic for pages and pages, so I'll get back to the question at hand. After reading what was written above, is buying a Braden Holtby jersey a waste of money? Holtby has probably replaced Ovechkin as the "jersey to own" after his amazing playoff performance and emergence as the Caps goalie of the future. 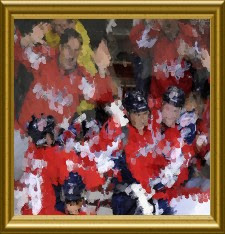 But do you really want to risk it based on the recent history of the Washington Capitals? If there is one thing I know about the Caps it is that the "goalies of the future" come out of nowhere for the Playoffs, and the next thing you know they are on the bench watching the next "goalie of the future" in the following season. Will the jersey end up hanging in a closet next to the Kolzig jersey, next to the Huet jersey, next to the Theodore jersey, next to the Varley jersey, next to the Neuvy jersey? 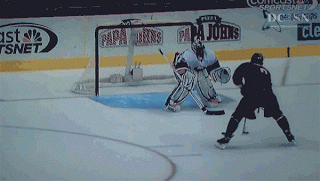 So if you think Holtby is going to be the next Brodeur, then get your checkbook out. But if you are like me and are cautious that when next season is over you'll be reading the same article about whoever the next in the semi-long line of Caps goalies is, then save your cash & get a few generic Caps shirts for the same price. Hmm, I personally don't agree with this. I think if a fan is a fan of a certain player, they might want the jersey of that player no matter what team he plays on. I've been a José Theodore for years. I have his jersey of every team he's been on and yes, I still wear his Habs jersey when I go to games in MTL. I think if someone really likes the player and will enoy the jersey, why not go for it. If he gets traded, so be it. Many people wear jerseys of players that don't play for the team anymore because that's the only jersey they have; it's better for them than wearing nothing related to the team. Anyways, like they say, the name on the front is a lot more important than the name on the back. As long as the jersey is supporting the team, who cares! I semi-agree with that logic, my writing was a little exaggerated, but the main people I'm talking about are the people who don't follow the player after they are gone. I guess I would wear my Gilbert jersey as a tribute to my favorite player, but not as a tribute to the team. Many DC people bought a jersey 3 years ago and didn't buy one since and a game pops up and they just pull the one out of the drawer. Nats fans are most guilty of this. I have viewed so many blog post but yours are different. I like to ask how you composed your articles for it really leaves an excellent impression on me. Just keep on posting interesting facts.